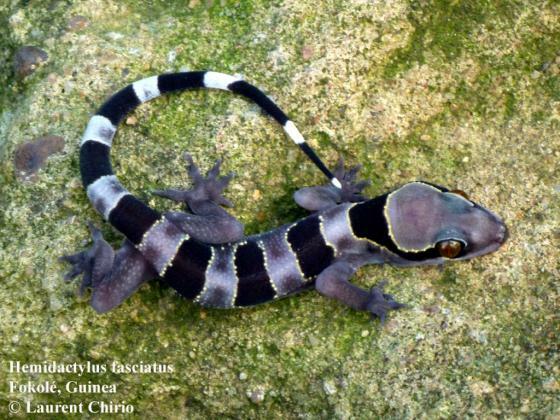 Can you confirm these amateur observations of Hemidactylus fasciatus? Diagnosis Description. 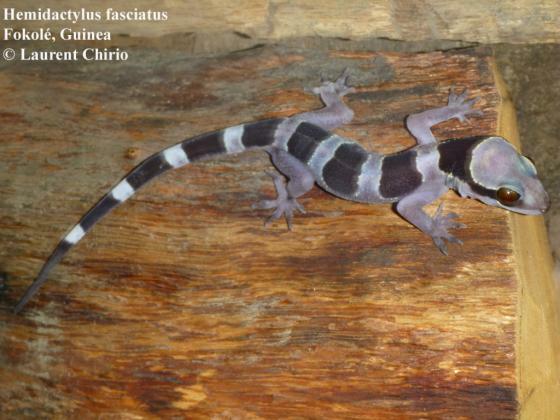 A fairly large species of Hemidactylus, with a maximum SVL of 95 mm, and a maximum total length of 172 mm. 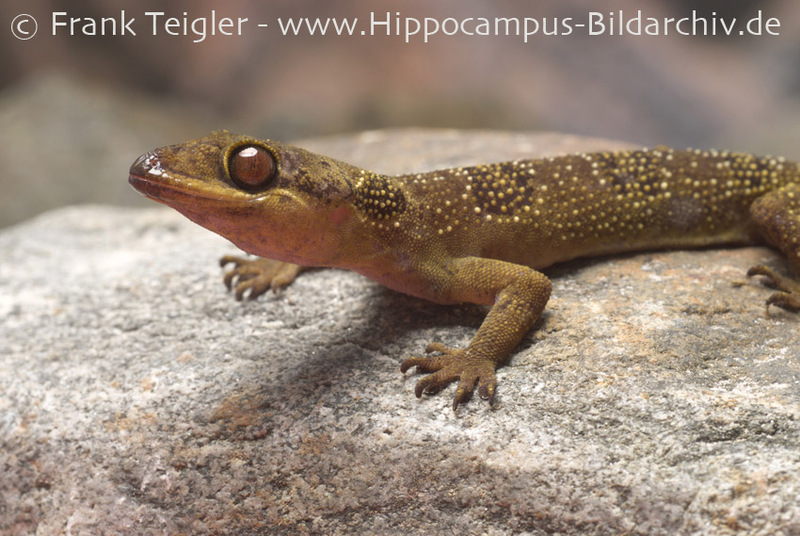 Like in the other species of the group, the body and limbs are moderate; the snout is slightly longer than the distance between the eye and the ear opening, the ear- opening is suboval and oblique; the upper surface of the body is covered with small granules, which are intermixed with small, round, and convex tubercle scales, forming more than 20 less regular longitudinal rows; digits are dis- tinctly webbed at the base, and have six to eight lamellae under the inner digits, and nine to ten under the median ones. Like other species of the group, excluding H. iturien- sis, it is morphologically characterized by a long row of femoral pores in males, which are interrupted in the mid- dle, resulting in a high number of femoral pores (16–20, vs. 8 in H. ituriensis) on each side. In coloration it is dis- tinct from its close relative H. kyaboboensis sp. n., by lack- ing the various pale tubercle spots and the broad pale fram- ing of the dark body crossbands, and by having the dark body crossbands more distinct to the pale interspaces (see Fig. 1). It is distinct from other species of the group by having a broad dark band between the eyes and the neck (vs. a narrow stripe in H. coalescens sp. n. and vs. lack- ing in H. ituriensis), and by having a pale upper lip (vs. dark in H. eniangii sp. n.) (Wagner et al. 2014). Comment Type species: Leiurus ornatus GRAY 1845 is the type species of the genus Leiurus GRAY 1845, now a synonym of Hemidactylus. Distribution: The species was considered to be widespread in West Africa until Wagner et al. 2014 split it up into several species. The distribution given here is the restricted range. Relationships. Genetic data was presented by Leaché & Fujita (2010), who showed that this species includes all populations that cluster with those from the western Guinean rainforest with strong support in the Bayesian species delimitation model. This species is closely related to the other West African species described herein (H. kyaboboensis sp. n.), which is so far only known from forests within the Dahomey Gap. See tree in Wagner et al. 2014. 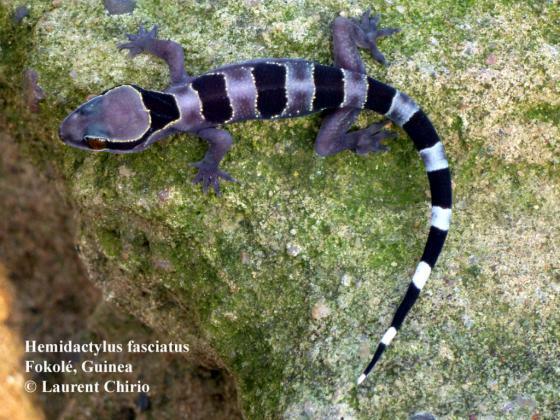 LEACHÉ & FUJITA 2010 described three new species related to H. fasciatus (H. coalescens, H. eniangii, H. kyaboboensis) but were “not aware of any morphological or ecological characteristics that differentiate these lineages”. The new species are only defined by DNA sequences. BAUER et al. 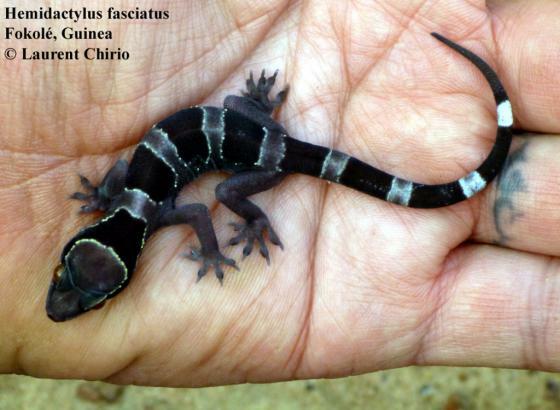 (2010) considered these new species as nomina nuda. They were later (again) described by Wagner et al. 2014 with more details, although the new descriptions have some issues too. See the entries of these species for details.